The project is a new 80,000 square foot tenant facility located on 2 floors of a building in Annapolis Junction, Maryland. 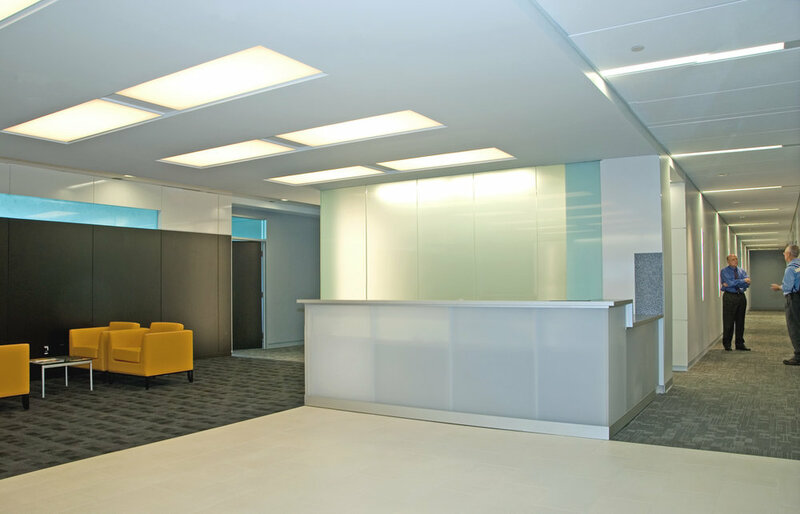 The project scope primarily includes office and conferencing space. Despite the space being located within a new building, the project also includes design of the floor elevator lobby and selection of building core finishes. The design of the elevator lobby and suite reception have been integrated creating a seamless transition with greater design impact. 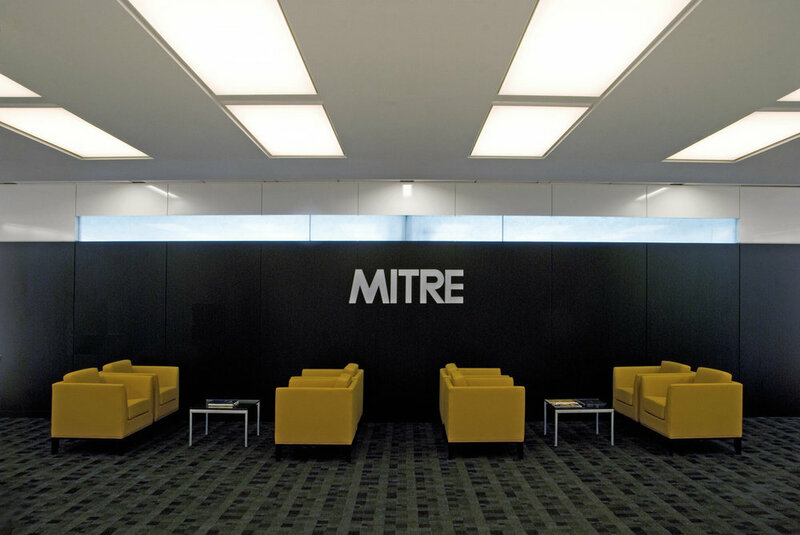 The design focuses on celebrating amenities and shared spaces which are distributed throughout the space. The use of lighting, both natural and energy efficient artificial lighting, and environmentally sensitive materials identify these spaces and animate the circulation paths. 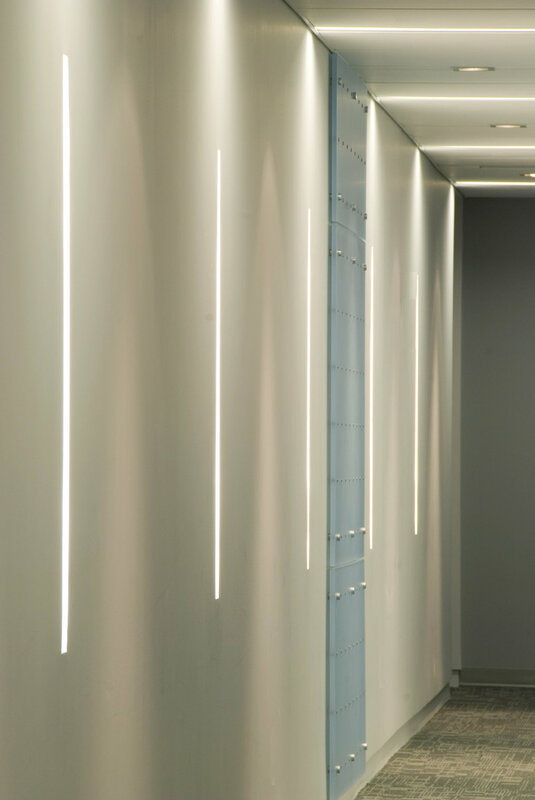 Lighting design plays a special role throughout the space defining special areas including: the elevator lobby, the reception, conference rooms, work room, pantry/lunch room, and corridors. Green Initiatives Include: daylight harvesting, energy efficient lighting, LED lighting, recycled ceiling tile, recycled content materials, synthetic drywall, low VOC paint & adhesives, FSC certified wood, recycled carpet, low-flow plumbing fixtures, energy-star rated appliances, local & regional materials, and recyclable furniture.